“Elements of RGGI.” Maryland’s LMI program revenue distribution is determined by the state statue. All forms of energy saving measures across multiple energy sources are eligible provided they are cost effective. 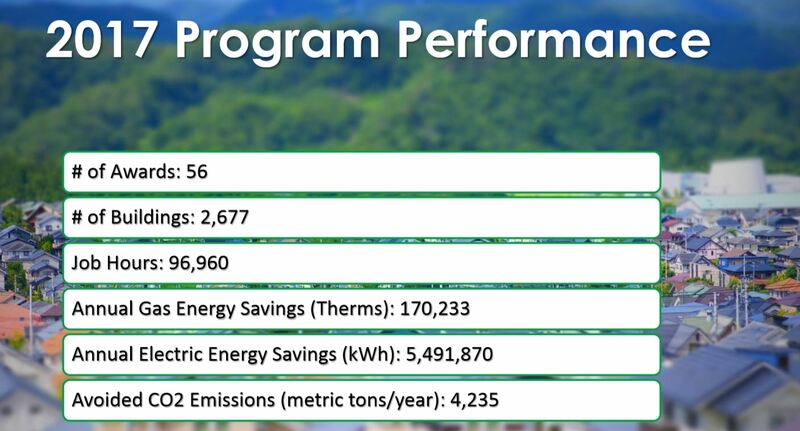 By weighing savings in aggregate and allowing for any form of energy savings, many measures that would not be eligible for other programs are able to be implemented. 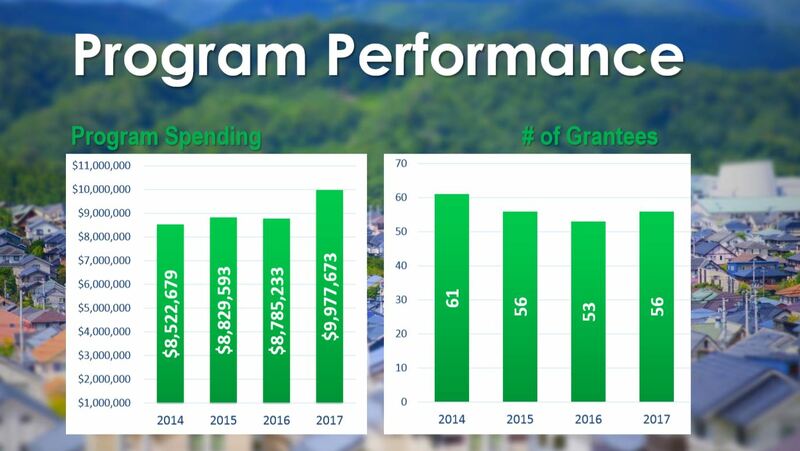 Grants may be made in conjunction with, or in addition to, financial assistance provided through other state, federal, or utility programs. 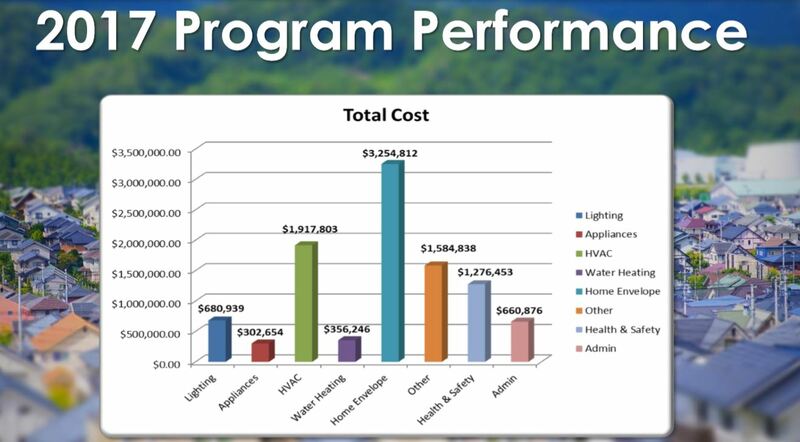 • Grant applicants are encouraged to pursue support through other energy efficiency programs available. Allowing applicants to leverage other funding via state, federal, private, and utility programs it enables them to expand the size of their respective projects. 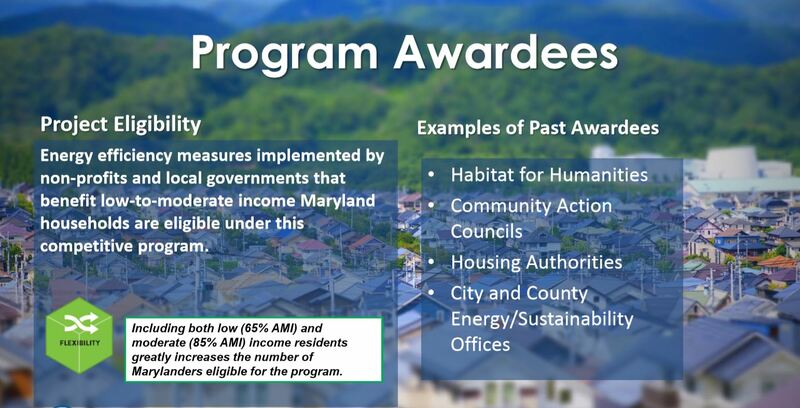 LMI grant applications are evaluated on: annual energy savings per dollar of MEA investment; applicant’s past performance complying with LMI program requirements and participating in other State programs (if applicable); impact on Maryland’s low-to-moderate income residents; applicant’s willingness and ability to deliver energy upgrades to households that are not eligible for assistance through other channels; and applicant’s proposed method of delivery of energy products and services and whether the proposed method will provide best value to the State of Maryland. 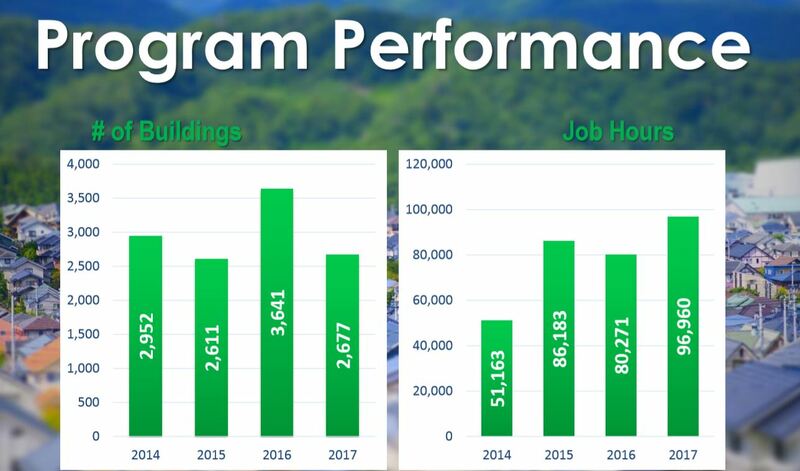 The LMI program is a stand out success for several reasons including program flexibility, reach, cost effective savings, collaborations with local nonprofits, and quality control. The American Council for an Energy-Efficient Economy (ACEEE) recognized this grant with the Social Equity Award, click here to read more about this award.